Our skin is the largest organ in our body. In 1 square centimeter of skin there are 500 nerve cells. 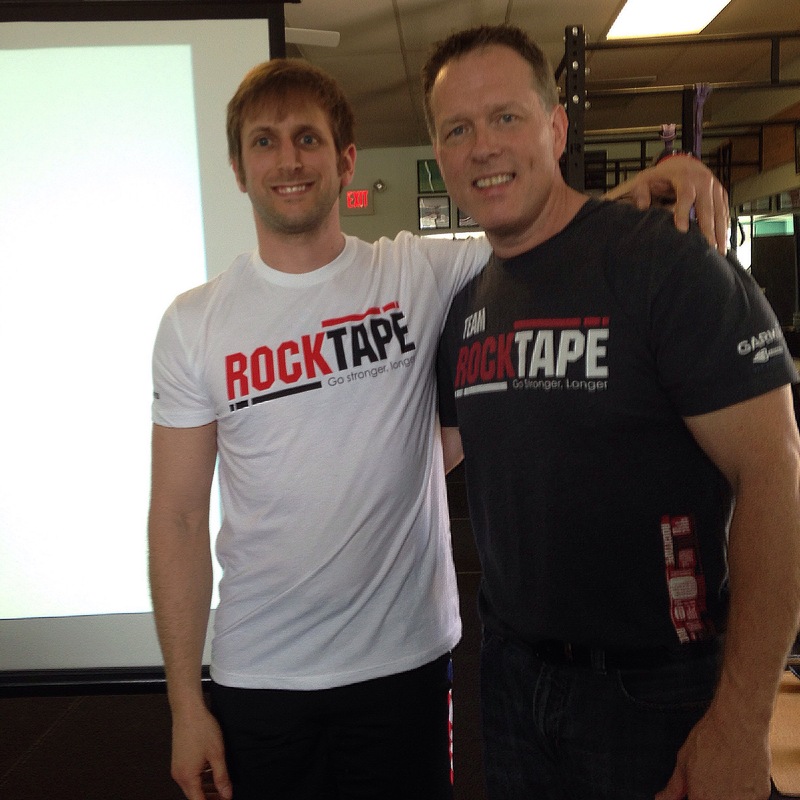 RockTape provides sensory stimulation to receptors in and under the skin (2). By engaging with our skin RockTape directly effects our brain and how our brain interprets movement. By changing this interpretation we change how we move. Brent Morehouse, a colleague of mine, had turned me on to Dr. Perry Nickelston’s work. I began to follow his Facebook, Instagram, and Twitter social channels. His passion and sense of humor as well as his ability to cut through a lot of the fluff makes him stand out from the crowd. Dr. Nickelston’s practice focuses on helping his clients and athletes get out of pain and move better. He is also a Functional Movement Systems practicioner, like myself, as well as an instructor for NeuroKinetic Therapy. I chose to attend this certification specifically to learn from him. I knew that I would enhance my knowledge and skill set professionally. Most of all, I could apply this new knowledge and skills inside of the framework of RockTape and Functional Movement Systems. What are the benefits and applications? RockTape can specifically help rowers by improving their posture, resetting diaphragmatic breathing, pain, and performance. Rowers typically suffer from overuse injuries in the lumbar spine and ribs. I have found the thoracolumbar fascia taping to prove particularly useful for rowers. Watch Dr. Perry Nickelston perform the thoracolumbar taping application during our certification. Note: The video is about 12 minutes long and can be difficult to hear at times. The participant had nerve pain going from his low back down his left leg all the way to his foot.